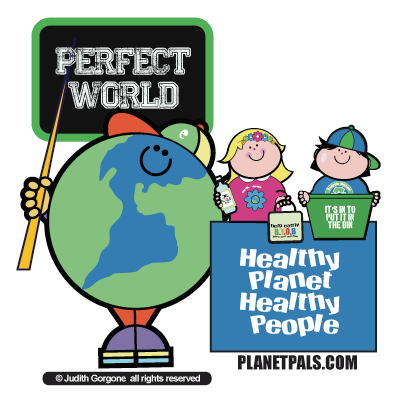 New Food Pyramid " MY Plate "
We talk a lot about the a healthy planet here at Planetpals , but we don't want to overlook the importance of a healthy body as well. There are many steps you can take to make sure the food you eat and the food you buy are squeaky clean and nutritious , too! That makes you healthier and happier. Taking precautions against the environment from things like acid rain and pesticides that farmers might use is important...just as important as what we choose to eat. 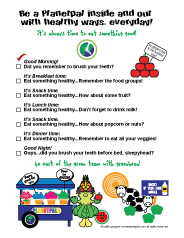 Download this fun healthy kids checklist ! food poses little risk of foodborne illness. Farmers, restaurants, and shops have standards to keep things safe. However, we also need to keep and prepare foods safely in the home, and be alert when we are out. Check nutrition facts on the package, buy healthy foods! Check and follow the label cooking/storing instructions. Serve safely. Keep hot foods hot and cold foods cold. 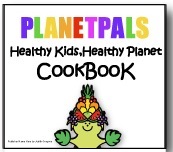 Be a Planetpal - Eat Healthy, Be Healthy! 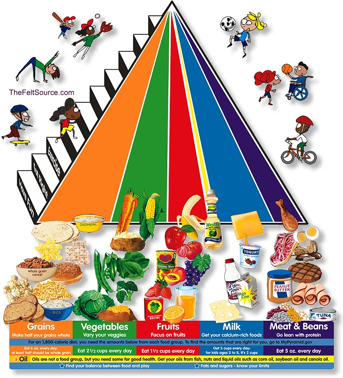 Nutrition is the science or study of how your body uses nutrients. Just like a car, your body needs fuel to work properly. The food you eat contains substances called nutrients that provide the energy (fuel) for your body to make new cells, heal, fight illness, and to grow. There are 6 kinds of nutrients that provide your body with the energy to think, play and work properly. Make half your grains "whole"
What you see here is the proportions from TOP TO BOTTOM for daily servings of the following foods. Protein: Meat, Poultry, Fish, Beans, Eggs & Nuts Group. Grains: Bread, cereal, rice & pasta group. 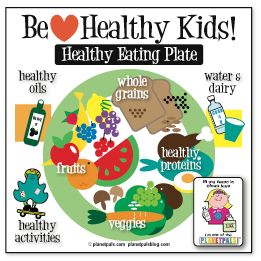 This handout image provided by the Agriculture Department shows the department's new healthy eating symbol: My Plate. 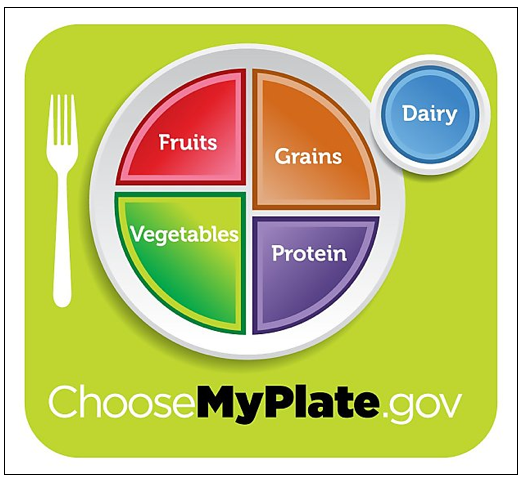 The Agriculture Department says its new healthy eating symbol called "My Plate" should show Americans that nutrition doesn't have to be complicated. No Fats, oils & sweets! Our Favorite Healthy Kids SNACKS and RECIPES! 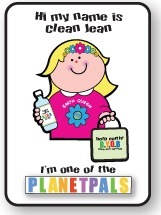 It's cool to bring a GREEN Lunch to school! 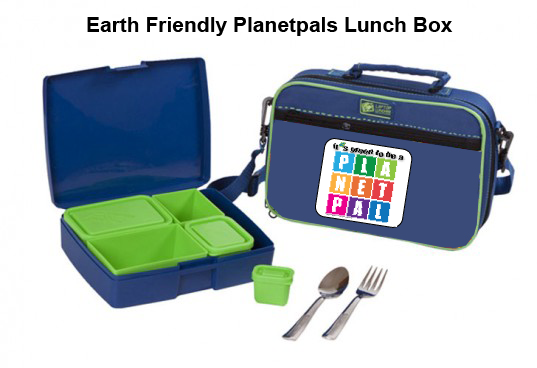 Be a Planetpal - Pack an Earth Friendly Lunch! 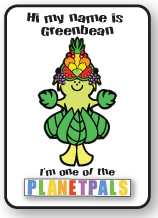 Now that we are eating right what about a healthy planet lunch as well? 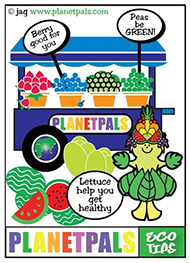 One simple step is an PLANETPALS Earth HEALTHY Lunchbox. Less litter, less waste. After all, we take a lunch to school and work five days a week at least...That can be a lot of waste over a long period of time. Instead of packing disposable lunch bags, sandwiches and snacks in disposable plastic bags or wrap, wasting soda cans, juice or milk bottles and paper napkins everyday...rethink that lunch! 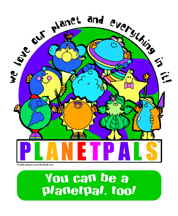 You not only help save the planet, you can save money! See how easy that is...now you can be healthy inside and out! Don't have a lunch box? See how many days you can reuse that paper bag!